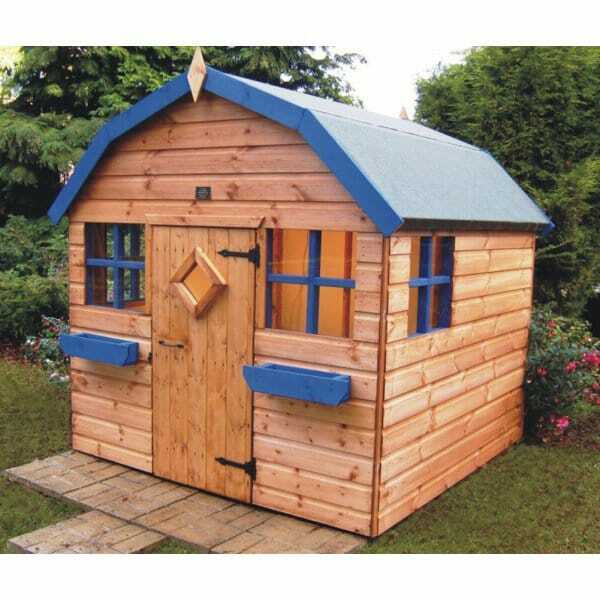 A1 Doodle Playhouse: The A1 Doodle playhouse is a rustic, barn style playhouse with apex roof with finial detailing. The included roof felt will offer good weather protection all year round. This playhouse features a single outward opening door with finger saving safety strip which will prevent little hands getting caught. The inside of the playhouse features easy to clean marker boards which will be the perfect place for doodles and drawings. Your children can spend hours drawing inside their own little play haven, and the boards wipe clean for your convenience. Marker pens are not included with the Playhouse.